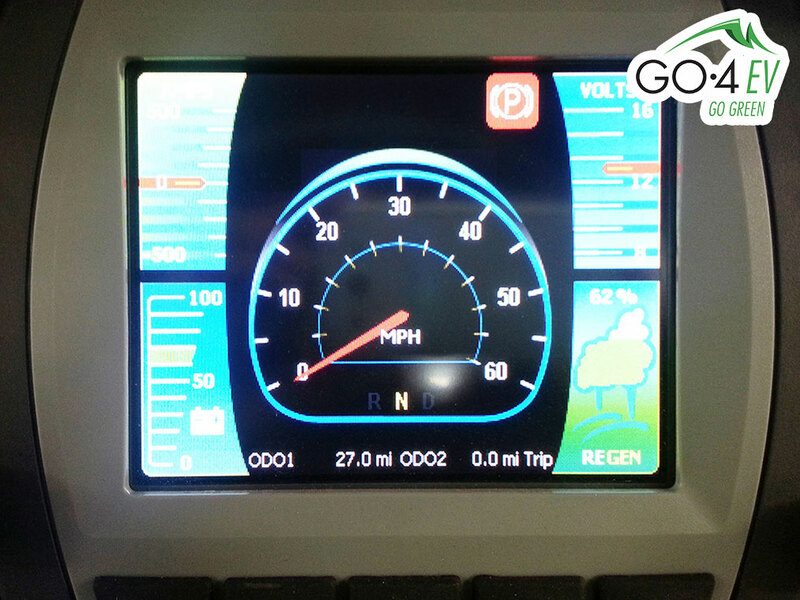 Our new EV digital display offers the operator plenty of information. 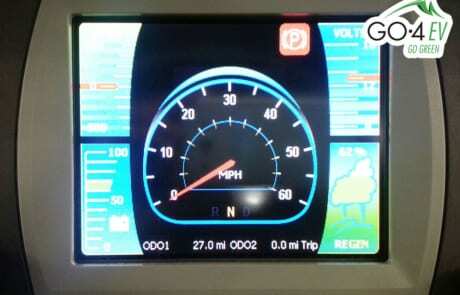 Such as AMPS, Regen percentage, odometer, battery charge. 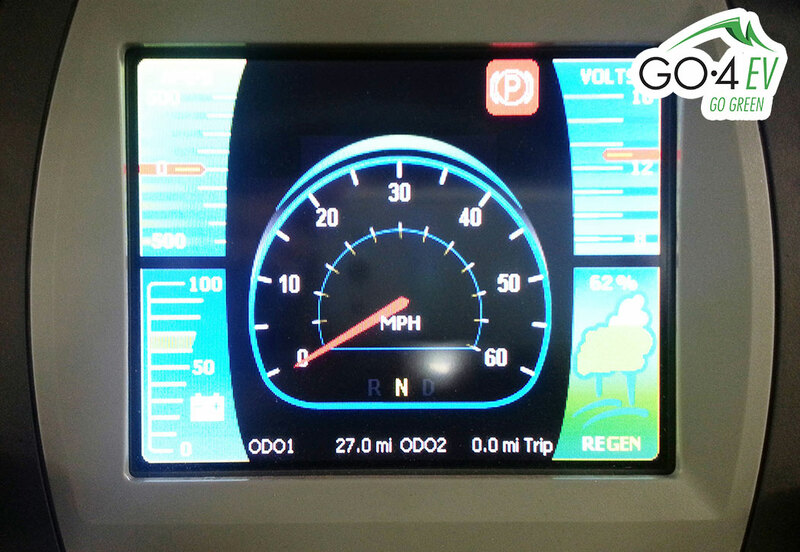 NEW; our display now offers an optional Back up camera. 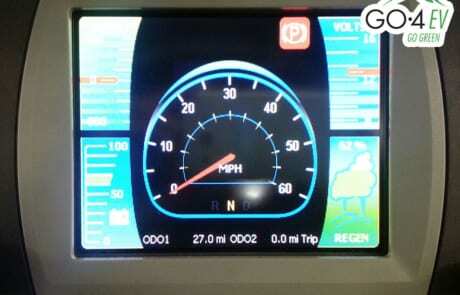 Simply change to reverse and display switches to the rear camera.